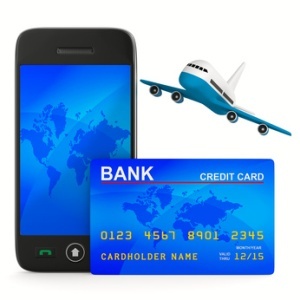 When you first begin researching them it can seem that not only are there more travel and airline credit cards available than ever before but that choosing between them is a more confusing process as well. It does not have to be that way though, you just need to devote a little time and energy to examining the available choices and what they have to offer and then determine which of them really will meet your needs and be of the most use to you on a regular basis. Big Bonuses – Airlines and hotels offer a great many bonuses in general these days to encourage people to continue to travel and vacation in a tougher economic climate and often these bonuses and perks get even bigger if you choose a branded travel credit card or an airline specific offering. For example Starwoods Hotels and Resorts, who now also own big name chains, like Westin and Sheraton has co-branded the Starwood Preferred Guest Credit Card with American Express. The rewards program gives you perks like 500 bonus points for weekend stays which is a very generous number of points to award for a single two night stay. Airline branded cards offer just as large a bonuses in many cases. A good example of this is the Continental Airlines OnePass Plus Card which rewards you with 25,000 air miles as soon as you make your first purchase with the card which is a sufficient number of miles for an economy round trip domestic airfare right off the bat. Great Partnerships – Increasingly issuers of travel and airline credit cards are teaming up with companies in other industries to increase the point earning opportunities for their card holders, as well as helping increase their partners’ revenues. Preferred Travel Arrangements – If you choose an airline specific credit card you can often gain access to seating upgrades, discounted baggage fees and even access to swanky airport lounges at least a few times a year. Travel rewards cards also tend to offer the same kinds of perks for hotel rooms as well, on everything from upgraded dining options to discounts on local attractions in the city you happen to be staying in. Larger Annual Fees – While there are a number of more generalized travel rewards credit cards that do not charge an annual fee most branded airline credit cards and many hotel branded credit cards do, usually between $50 and $75 a year. Having said that on average you will earn travel points about twice as fast with a branded airline or travel credit card than you will with a more generalized rewards card so that difference may even out in the end though and make the extra annual fee worth paying if you want to earn your trip within the next few years instead of within the next decade or so. Redemption Difficulties – People have been complaining about how hard it can be to redeem air miles for years and although the whole process is definitely improving you should not be too surprised if you find yourself up against a large number of blackout dates and other restrictions. With the price of fuel still going up airlines want to sell seats at peak times, not give them way free however many air miles a potential passenger may have saved up. This is rarely ever a problem with hotel rewards though as hotel chains still have to spend money to clean and maintain an empty room so putting up a rewards points guest is no real loss and it is still another individual to spend money in the hotel elsewhere so there are rarely ever black out dates or excessive amounts of restrictions attached to these rewards. Are General Rewards Cards Better than Airline or Hotel Specific Credit Cards? There is no real clear cut answer to this question. If you are a rather infrequent traveler a general rewards card that allows you to redeem points for a number of different things in addition to travel benefits many very well be the better choice for your as it gives you options for stay at home rewards as well. If on the other hand you are a frequent flyer who really does want to earn travel rewards specifically general rewards cards are very slow in awarding enough bonus points to get you to where you want to go compared at a branded airline or hotel credit card. And most general rewards credit cards do not afford you all the neat little traveling extras that airline credit cards do like that great upgrade to first grade or entrance to that oh so inviting looking airport lounge during a long layover.